What is "bird on rail" or "railbird" in poker? - Casino Answers! Casino Answers » Poker » Online Poker Beginner Q&A » What is “bird on rail” or “railbird” in poker? What is “bird on rail” or “railbird” in poker? There are a few different meanings associated with the term “railbird”. First, the literal term “the rail” refers to a railing separating the gaming tables from the spectators. A “railbird(s)” refers to a non-player(s) who are watching a game. This is often used as a derogatory term. These are often people who have no money to play but want to stay just to watch the game unfold. They may also hang around to root for a favourite player or someone they know personally. Also, those players habitually knocked out of a tournament early who hang around the tournament area as fixtures, are often referred to as railbirds as a slight put down to their playing ability. However sometimes “railbirds” are players on a waiting list to get into a game. However, the term railbird can simply refer to fans of the game. A lot of times you will see railbirds in Las Vegas outside of the high roller room with the hopes of meeting players like Phil Ivey and getting a picture or an autograph. While some people may think that a Phil Ivey autograph is a weird thing to have, to a huge poker fan that is more valuable than a Derek Jeter autograph. Some of these fans get so into their railbird status that they get known by name by security at casinos. They know you by name and it’s not always for the right reason. If you are a railbird that routinely gets out of hand and obnoxious, the security is going to quickly learn your name and be aware of your presence whenever you are there. Don’t be that person. You don’t even necessarily have to be at a casino to be a railbird either. There are players who like to watch the final table on every television stream and in every online poker tournament. They are just big fans of tournament poker and prefer to watch the high stakes of the final table. They look for streams online and tune into ESPN and Fox Sports to watch these final tables. 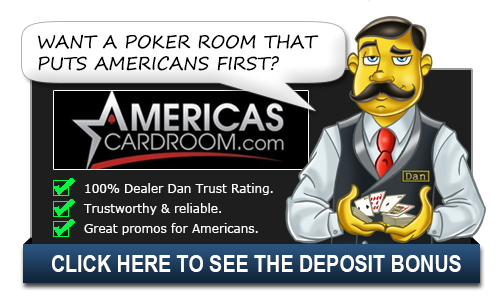 Others go so far as to log-in to a website like Pokerstars and will record the final table with screen capturing software. Railbirds come in all shapes and sizes. There is nothing wrong with being a railbird. Being a fan of poker is easy to do as the game is so beloved. Some people choose to express that love through playing, but there is nothing wrong with getting joy from watching others play. There is a reason that there is tons of poker on television and the ratings are always up. It can be a fascinating game to watch and seeing how players react situations can teach you a lot about how to become a winning poker player. Being a bird on the rail is a great hobby as long as you don’t allow it to get out of hand. Treat the players with respect and act like an adult. You’ll be fine.